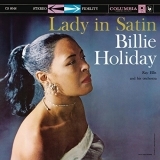 The best album by Billie Holiday is Lady In Satin which is ranked number 697 in the overall greatest album chart with a total rank score of 3,635. Billie Holiday is ranked number 363 in the overall artist rankings with a total rank score of 7,071. 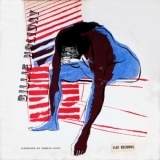 Members who like this artist also like: Miles Davis, Thelonious Monk and Ella Fitzgerald. 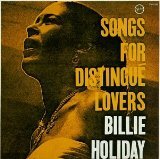 This may not be a complete discography for Billie Holiday. This listing only shows those albums by this artist that appear in at least one chart on this site. If an album is 'missing' that you think deserves to be here, you can include it in your own chart from the My Charts page! Showing latest 5 ratings for this artist. | Show all 36 ratings for this artist. Along with Sarah Vaughan, one of my favorite jazz vocalists. 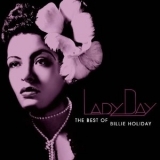 No female singer evokes such emotion as Billie Holiday. The standard for emotive singing. Billie Holiday was an incredible artist. 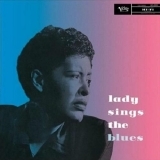 She set the par for female vocalists in the 1950s and inspired many vocalists to come as well. Her songs were so real and so passionate especially for her time when usually the record labels ruled the airwaves instead of the artists. Billie had one of the toughest, saddest, lives I have ever read about and somehow she was able to get through all of the adversity and record timeless songs. I recommend the songs; Strange Fruit, A Fine Romance, God Bless The Child, Summertime, No Regrets, My Man, and When You're Smiling. She has so many more but those songs are a good place to start.